The Tecno Camon 11 Pro is a new present from Tecno Mobile and its sport’s impressive body design with hardware as well. It’s the advanced version of the Tecno Camon 11 and the successor of the Camon X which was launched earlier this year. The Gionee A1 Plus is also an affordable smartphone with a beautiful body design and a capable processor. The phone is part of the mid-range phone from Gionee. Both the Camon 11 Pro and the Gionee A1 Plus are now available in Nigeria and in this article, we will be looking at their full comparison. On the design, both phones are blessed with dual rear cameras set-up. The Tecno Camon 11 Pro features a small bezel both in the top and bottom of the screen. It has body dimensions of 153.7 x 74.5 x 8.5 mm and weighs 158 gram. The Gionee A1 Plus on the other hand sports thick bezel both on the top and bottom. The phone measures 166.4 x 83.3 x 9.1 mm in dimensions and weight 226 gram. Both phones feature a fingerprint scanner for security and they are also shipped in multiple colors. The Gionee A1 Plus is heavier than it’s rival. On the front, it’s only the Tecno Camon 11 Pro that has a notch up front. 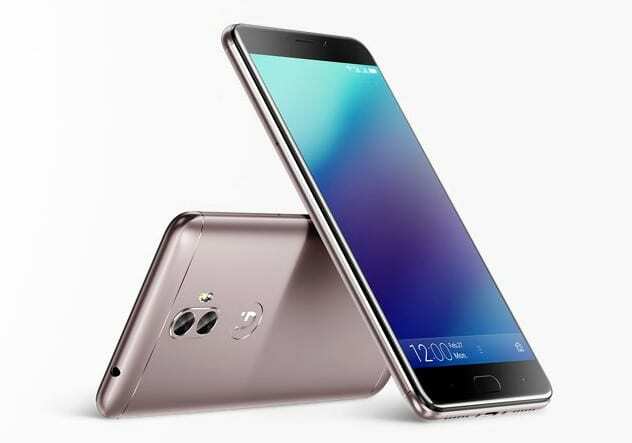 The phone also has a large screen size of 6.2 inches with a resolution of 720 x 1500 pixels and 268 PPI density, while the Gionee A1 Plus has a screen size of 6.0 inches with a resolution of 1080 x 1920 pixels and 367 PPI density. Both phones are equipped with IPS LCD capacitive touchscreen with a display protection. On the overall, the Gionee A1 Plus will offer clear visuals than the Camon 11 Pro. On the camera department, the Tecno Camon 11 Pro has a dual rear camera of 16 MP (f/2.0, AF) + 5 MP (depth sensor) with quad-LED flash and a front facing camera of 24 MP with f/2.0, 1080p@30fps, FaceID, and dual-LED flash. Meanwhile, the Gionee A1 Plus also has a dual rear camera of 13 MP (f/2.0, 1/3″, 1.12µm) + 5 MP with phase detection, autofocus, and LED flash, and you will get an impressive front facing camera of 20 MP (f/2.0, 1/2.8″). The Tecno Camon 11 Pro has the point and it may likely take better photos than it’s rival. The Tecno Camon 11 Pro is powered by MediaTek MT6762 Helio P22 chipset with an Octa-core 2.0 GHz processor and PowerVR GE8320 for graphics, whereas the Gionee A1 Plus has a MediaTek MT6757T Helio P25 chipset with an octa-core processor that runs at a maximum speed of 2.5 GHz and Mali-T880MP2 for graphics. The Camon 11 Pro runs on Android 8.1 Oreo operating system, while the Gionee A1 Plus runs on Android 7.1 Nougat. Both phones support micro SD card for expansion and they also have support for dual SIMs with 4G LTE network. The Tecno Camon 11 Pro has a nonremovable battery capacity of 3750 mAh, while the Gionee A1 Plus has a nonremovable battery capacity of 4550 mAh. The Camon 11 Pro will sell at a price of $223, while the Gionee A1 Plus will cost around $350. On the overall, the Gionee A1 Plus will outperform the Tecno Camon 11 Pro and the phone also has a bigger battery capacity and better screen display size as well. The Tecno Camon 11 Pro will only make a good budget buy and the phone is also the latest device, so it will make a wise buy.